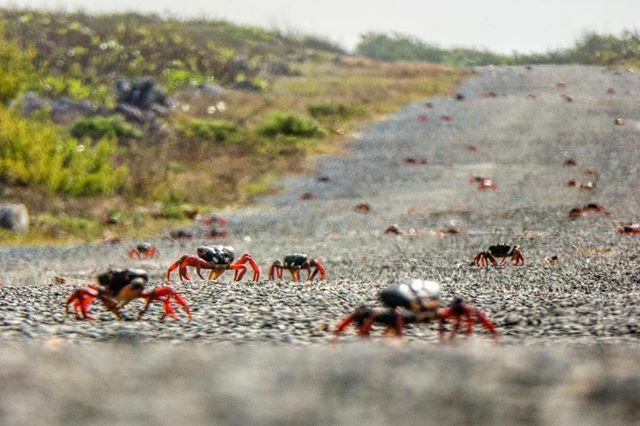 Cuban crabs are on an epic pilgrimage right now and they’ll be damned if you try and stop them. Every year, after the first spot of Spring rain, the big red and black land dwelling creatures make their way to the Bay of Pigs to lay their eggs. The migration is always huge, with millions upon millions of crabs scurrying through forest and roads over the coming weeks. As such, it’s recommended that drivers travelling through Cuba best look out so they don’t crush the harmless creatures. Not only that, but the pincers are wreaking havoc on car wheels. Reuters reports that while it’s so sad to see the crushed crabs on the road, the popped car wheels are proving to be doing things for the local economy. Nearby mechanics are pocketing a $13AUD fee to patch up wheels, a princely sum compared to the $33AUD the state earns in monthly revenue. Keen to start your own adventure? Head here.